On Monday, (from 8.30 am - 5.30 pm), Gandhinagar got 68 mms. Today's (Monday) Rain:Mumbai Colaba received 14 mms and Santa Cruz 26 mms in 12 hrs fro 8.30 am Monday. Bhuj received 108 mms in the same 12 hrs, ( taking the 36 hrs total to 180 mms in this desert town)..Ahmedabad 39 mms, Surat 14 mms. BB-3 remains "in waiting" and as explained may start getting active after the other system in Western India starts weakening...Till then, BB-3 may stregthen in place. 1.The Low in Central India has deepened, and now a Well marked Low in East Rajasthan near Tonk. Likely to become a Depression and move West. Very heavy rains likely in North Gujarat, parts of Kutch and adjoining South East Sindh. Can persist for 2 days Monday to Tuesday Night. Intensity decreasing in these regions from Tuesday Night as system weakens and dissolves. Monday and Tuesday: Moderate rains likely in Saurashtra Region and East Gujarat Coast. Mumbai: Monday and Tuesday see occasional showers. Rain amount will be around 20-25 mms/day. Ahmadabad: Rains very frequent on Monday, decreasing on Tuesday. Monday and Tuesday accumulated rains around 100 mms. Surat: Intermittent rain on Monday and decrease on Tuesday. Cumulative amount for 2 days around 70 mms. Good heavy thunder showers, some very heavy, are likely in the Sindh regions of Karachi, Hyderabad, Mirpur Khas and Sanghar. Rains will continue till Tuesday Night at least. Around 70-75 mms on Monday and around 100 mms on Tuesday in regions of Hyderabad, Mirpur Khas and Sanghar. Heavy thunder rains in Sanghar region of Sindh on Monday. Tuesday also rains will continue, but a bit less. Sukkar and Larkana gets moderate rains on Monday and Tuesday. Karachi: Expecting very good showers for Karachi on Monday and Tuesday. Frequent rains on Monday should measure around 20 mms (avg), and again another 12-15 mms on Tuesday. 2. BB-3 is also strengthening fast, and having become a depression, is currently South of the Bangladesh Delta Region. BB-3 now "in waiting", will take course of track and strength seeing and depending on the behaviour of the other system in Western Sub Continent. So, for the time being, as it waits for the other system to "shuttle out" , it will remain in the current position, and may just "shuffle around a bit" around the shores off Bengal. And of course, being a Bay system, will go on deepening. Seeing the Western Depression, if it weakens around 29th, BB-3 may then start moving from the 30th towards the coast. So, next few days, heavy rains along the Bangladesh, West Bengal and Northern Odisha coast. Chances of the usual Thunder showers in Kolkata..with increasing intensity, slightly, on Tuesday. Can expect around 25-30 mms on Monday and more on Tuesday. Further rainfall intensity will depend on BB-3, which in all likelihood, gears up on 29th/30th. Delhi and North...all set up for hot days and almost dry from Monday..
Kota 55 mms, Barmer 44 mms, Ahmadabad 36 mms, Jaisalmer 23 mms, Kolkata DumDum 20 mms, Surat 18 mms, Rajkot 13 mms. Other Rainfall Regions with Heavy Rains. In Kutch, Anjar got 16 cms. Sir, what is source of today continous rain from 11.30am,trough or deep depression. Abizer: Your region, mentioned by you, would be cloudy with occasional showers on Monday...and Tuesday may be a bit less. Around 35 mms on Monday. Any hopes for pune from BB3 ? Already Navi Mumbai non-stop cyclonic kind of rains!!! Sir,Delhi/NW will benefit from BB3 or not? Or will go through central india? Rajesh sir how long this system will give rains in sindh???? is there any threat to sindh ???? is there any threat of rains like rajistan and MP in sindh???? Mount Abu in South Rajasthan recorded massive 444.6 mms rainfall ending 8.30am today in last 24hrs !! 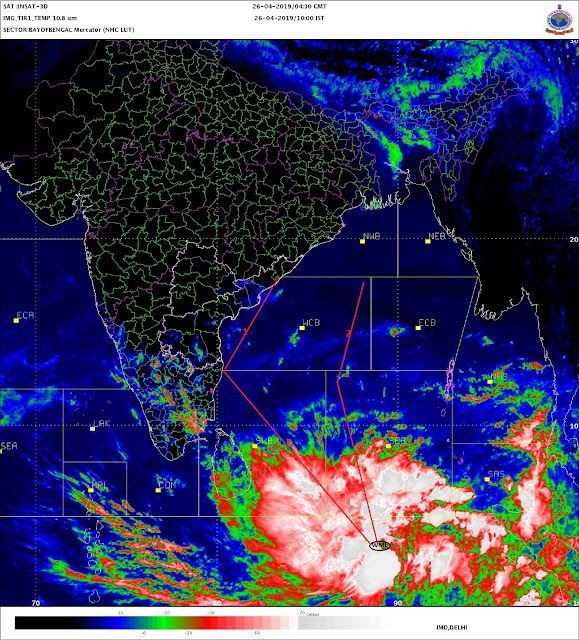 Why is the clouding associated with the depression over bay of bengal not visible in infra red imagery? Why is the associated clouding with BB3 not seen in satellite imageries? Record rains in north gujarat and kutch..
After Rajasthan desert it's Kutch desert now enjoying massive spells!! Bhuj recorded 245 mm rainfall ending 8.30am today in past 24hrs..
Hi Rajesh! I wanted to ask this long time. There will be Depression in Bay this week that will move mostly westward but still west coast including Mumbai is forecasted to get not that much heavy rains atleast till next monday. Why is that? When low forms in bay and move westwards most of time west coast including Mumbai gets heavy rains. But sometime it doesnt. I saw this happen before. Any specific reasons for this? Rajesh Sir when this system of rains in gujrat rajisthan Sindh will dissolve??? what will be its track now ????? which areas of rajisthan gujrat sindh are still under threat of heavy rains????? Only good thing for DELHI NCR for 2-3 days is lower night temp and lower humidity. Delhi rainfall surplus declining rapidly. plz update the latest any one. Sir, July is ending on a weak note for Coastal maharashtra including mumbai in terms of rainfall with jUST 2 days left. When heavy rains are possible in coastal maharashtra? https://wrd.maharashtra.gov.in/portal/portal/mwrd/15mwrdEmployees/5IrrigationManagement/5HydrologicalData/2Floods/5Storages for a daily status of reservoir levels. You can find Bhatsa and Vaitarna together and the rest of the BMC lakes data in one group. Over 6 months of water in mumbai lakes. Still some way to go. Next low over bay in pipeline - will it move west? GUJ/RAJ will end up in disaster. svt: This time BB-3 may be a bit weaker...but Mumbai does get rains from a Bay low, as a sometimes, if the west coast trough is strong, sympathy flow or a vortex is created exactly opposite the low along the west coast. Lake levels will be put up on Thursday.